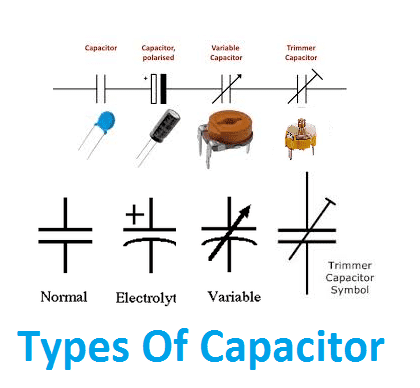 Capacitor is one of the fundamental passive components. It is separately or jointly used with other circuit components such as inductor or resistor or others. But in AC Power circuit capacitors uses in power factor correction Capacitor is a two terminal device which stores energy in an electric field. It is consisting of two parallel plates. They are made of conducting materials such as copper or silver or iron (mostly silver) and they are separated by a layer of dielectric material. The dielectric material is filled in between the capacitor’s terminal. Here, The dielectric material is an efficient insulator, so that it prevents electron flow across the terminal. In 1745 the Leyden jar (former name of the capacitor) was competitively invented by Ewald Jurgen von Kleist – 4 Nov 1745. Pieter van Musschenbroek produced the first working example in Jan 1746, with the name coming from Leiden University. In 1747 William Watson discharges a Leyden jar through a circuit and comprehends electric current. 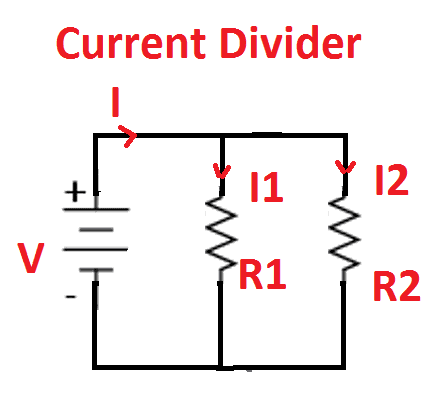 Also Know About: Why DC Voltage is preferred for Control circuit? Consider two parallel plates A and B, and A is connected with positive terminal of the voltage source and B is connected with a negative terminal of the same source. The electron flows from negative terminal and accumulates on the plate B developing negative charge, due to this the equal number of positive charges accumulate in plate A. Here the electric field is established in the dielectric between the plates. The direction of electric field always drives electrons from the positively charged plate to positive terminal of the source. The amount of negative charge stored on plate B is equal to the amount of positive charge on the plate A. Due to this, the two plates A and B carry equal and opposite charges, since, there is a voltage across these two plates. 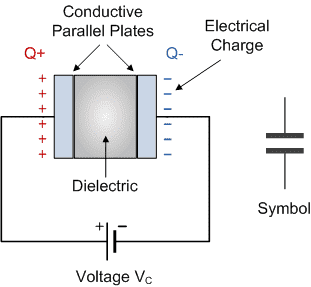 Let us consider voltage across the capacitor is Vc, and it is opposite that of applied voltage V. As the charge on the plate increases, the voltage across the plates also increases simultaneously. AT the same time, if the voltage across the parallel plates reaches to the source voltage V, then, there is not flow of electrons from the source. The property of the capacitor is called as capacitance. The ability of a capacitor to store energy is measured by capacitance. It is defined as the ratio between the charge stored Q by a capacitor to the voltage V across the terminal. The capacitance is denoted as “C”. Note: A capacitor is a device for temporarily storing electric charge. The unit of capacitance is Farad (F). This is a very large unit and most of the capacitors are rated in micro Farad(uF) or Pico Farad (pF). Microfarad capacitors mainly used in electrical power system and power factor correction circuit. The small capacitor in the range of below one microfarad Capacitors is mainly used in electronics circuit. 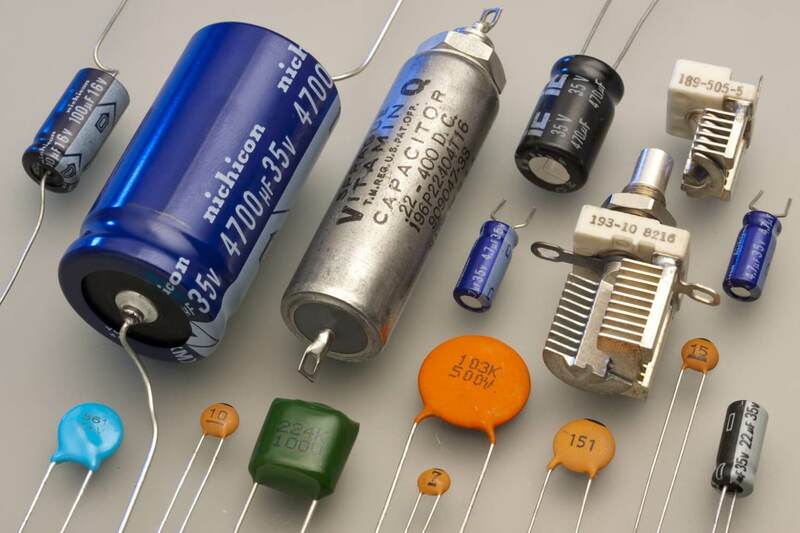 There are many types of capacitors are in the market. If one-coulomb charge creates one volt across the capacitor terminal means, the capacitance value of the capacitor is one Farad. If Q= 1 C and Voltage V=1 volt, then the capacitance of the capacitor is 1 Farad.